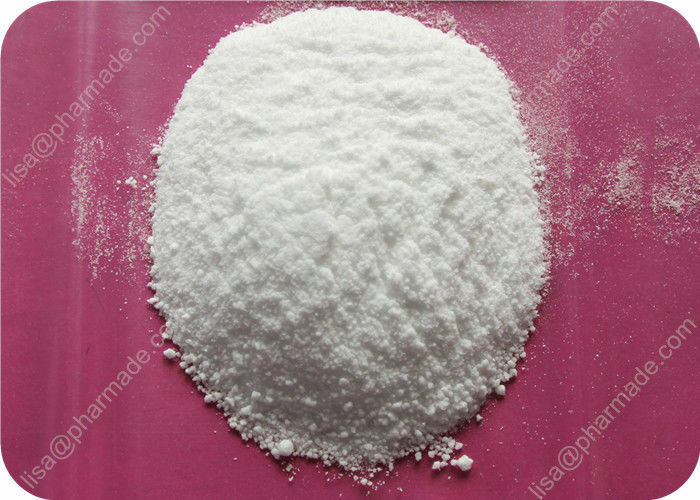 Aromasin is the common name of a steroidal aromatase inhibitor (AI) Exemestane, and it is considered the most modern and best AI available. Control of estrogen levels is often necessary in anabolic steroids, due to aromatization of steroids such as testosterone, Dianabol, nandrolone (Deca), or boldenone (Equipoise.) In the aromatization process, the aromatase enzyme converts these androgens to estrogen. In contrast to Arimidex and letrozole which work by reversibly blocking access to the aromatase enzyme, Aromasin actually inactives individual enzyme molecules when it binds to them. Aromasin has the ability to actually inactivate the individual estrogen enzyme molecules when it binds to them. This means that the user does not have to worry about estrogen rebounding after their cycle. Aromasin has also been shown to raise IGF-1 (Insulin-like growth factor 1) by roughly 25% in the body. This will give the user considerable benefits by making it easier to lose body fat and gain muscle mass. Aromasin is usually supplied in 25 mg tablets. Dosing of Aromasin in anabolic steroid cycles is most commonly 12.5 mg every other day, 12.5 mg daily, or at most 25 mg daily. Dosage is totally dependent on the individual, and what compounds they are running. For example, if you are stacking 3 wet/aromatizing compounds (like testosterone, dianabol, and deca durabolin), then logically you should run a higher dosage compared to a stack of a wet compound with a dry compound (like masteron or winstrol). In any case, only blood work can give you an accurate picture of the best dosage for you. Having said that, a good recommended dosage is generally 12.5-25 milligrams (mg) every other day to start with, and you should either increase the dosage, or lower it, as you see fit. Like Arimidex and Letrozole, Aromasin performs the same action, however, it does so in a more permanent and binding way if you will, thereby labeling it more accurately as a suicidal inhibitor of the aromatase class. However, the most obvious question is which one is more effective? In most all cases any of the three will get the job done and in most cases it will simply be of an individualistic preference. Without question the best time for Aromasin use is during the actual anabolic steroid cycle in an effort to prevent common estrogen related side-effects. However, this AI can be successfully used during the PCT process as well, as increasing natural testosterone production is part of its mode of action, although by somewhat of a secondary nature. However, most will find SERM’s to be optimal during the PCT process in-terms of the long run and overall health. Nolvadex and Clomid along with hCG are all most will ever need for a quality post cycle therapy plan and as such most will find Aromasin best suited for their on cycle needs.